I'd never seen the Godfather prior to this weekend. A friend of mine asked how I can consider myself a movie reviewer, when I haven't even seen the film that is widely considered to be the best of all-time. He had a point, so I decided to rent it and my verdict is it. 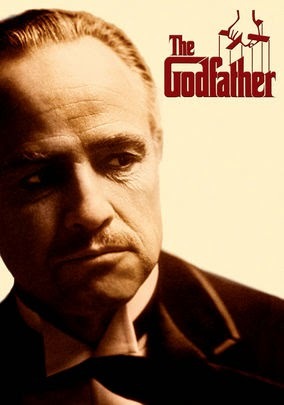 While the Godfather is a tremendous epic drama, I really don't see how it is considered to be the best film ever made. It's a great story, with a superstar cast, which set the genre for all the mafia films that followed, but that in and of itself means the film is going to have problems. As with other mafia films, it's difficult to keep track of who's who in the large cast. It also moves rather quickly and viewers like myself are going to have a very difficult time of trying to follow the erratic timeline of the film. Some parts move at a snails pace, while other just fly by, and what is with the music? The soundtrack is almost as acclaimed as the film, but honestly if I had to hear that song one more time, during this three hour epic, I may have gone out and killed someone myself. For those unfamiliar with the story, it follows the evolution of the Corleone family, as they transition from one leader to the next. The story is fantastic and is the furthest thing from predictable that you will ever find. It is filed with classic scenes and renowned performance from Marlon Brando and Al Pacino, but I really have a hard time calling such a complicated story with that much violence, the best of all-time. The Godfather is a terrific movie, and I'm glad that I finally got to see it, but in a word, the film is overrated.